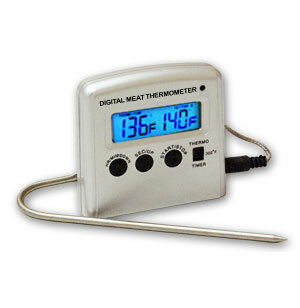 This handy Digital Meat Thermometer remotely displays food's internal temperatures and time elapsed while it's cooking. This thermometer is so easy to use, read, and clean, it's truly an "instant" thermometer. Stop overcooking your roasts or undercooking your poultry and start enjoying perfectly cooked meats every time!